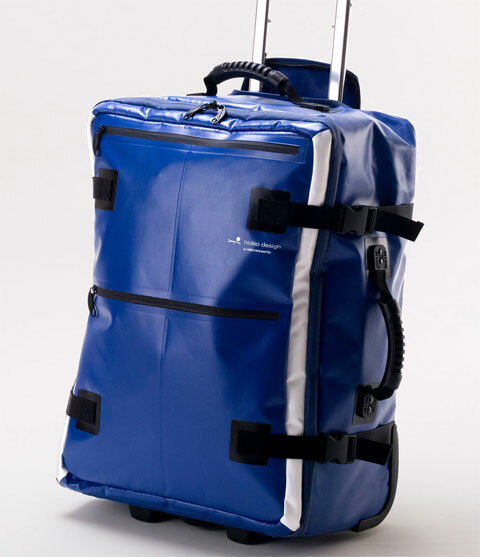 If you’re looking to travel in comfort and style, look no further than the Tarpaulin new suitcase line by Japanese accessory designer Hideo Wakamatsu. This super lightweight trolley is made from tarp – a very strong, flexible, and water-resistant material – making it the perfect travel bag for a ski vacation or a weekend at the lake. In other words: Très chic! 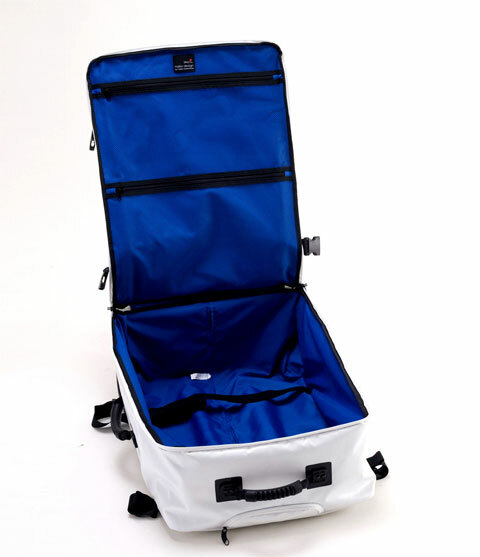 This sleek trolley suitcase offers plenty of storage pockets, strategically placed to make packing easier and to maximize every inch of space; it features a very lightweight body, with no heavy metal frames, water repellent zippers and two silent smooth running wheels. 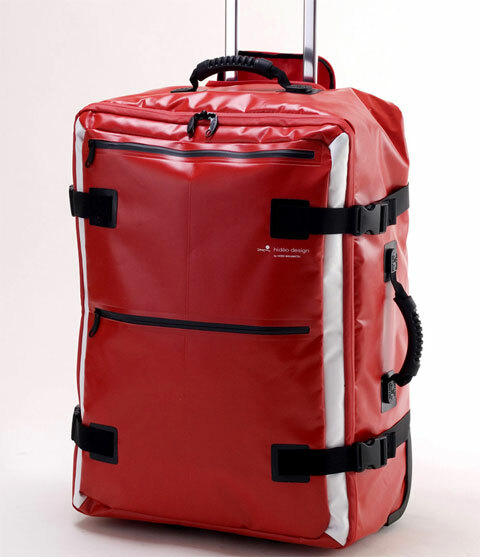 As opposed to hard-shell suitcases, this bag features a flexible material which allows you to travel big or small. 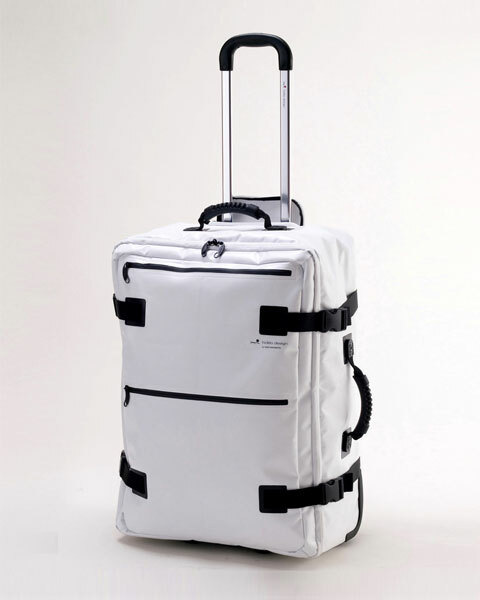 The bag can be expanded to fit your needs, or made smaller with the exterior straps when traveling light. 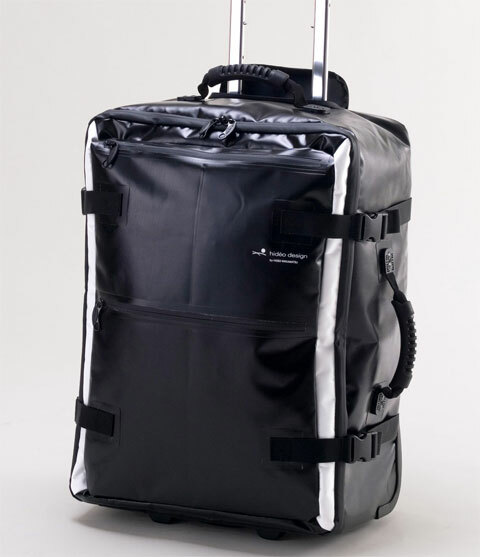 This carry-on also features convenient retractable carry handles – a huge plus when running from terminal A to B to catch that connecting flight. Exterior is available in bold colors of red, blue, black, and white (my favorite! ); interior comes with electric blue lining. 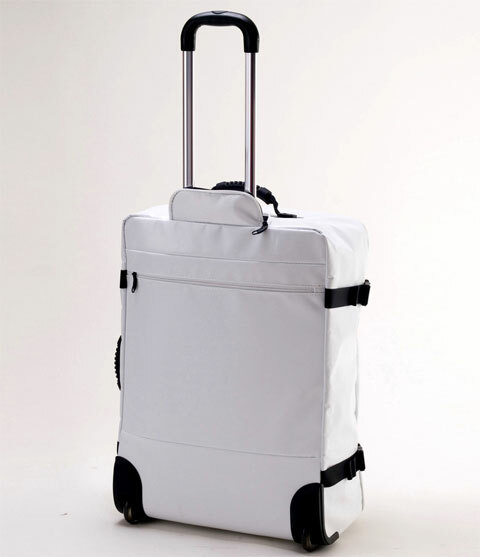 Available in a 19” carry on and a 25” check in size with a standard two wheels.